Danish thrash/power metallers MANTICORA have released the official music video for the track “Echoes Of A Silent Scream”, from their upcoming eighth album, “To Kill To Live To Kill”. The clip was shot at three different locations, and it was recorded, edited and produced by the talented movie-maker Kasper Serup Christensen of KSC Productions. MANTICORA said about the video: “This video is not your usual ‘Watch the band play their unplugged instruments,’ as we wanted to do something completely different. We wanted to tell a story, which seems to be the case every time we release anything, be it a book, an album or a video. 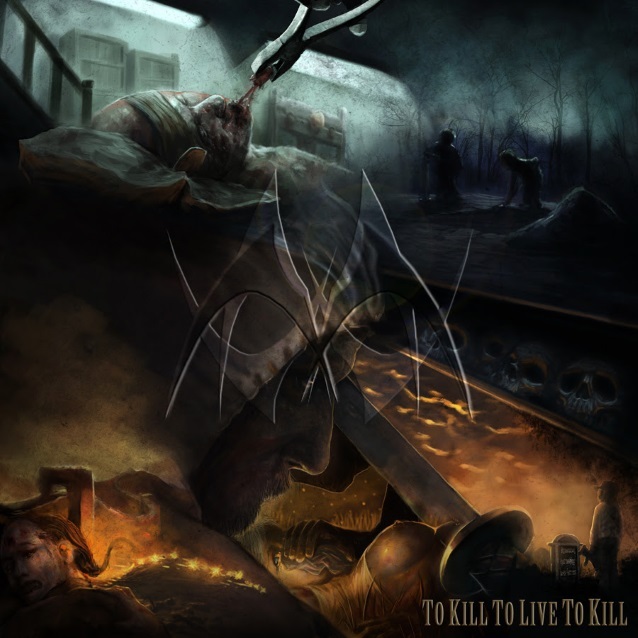 “To Kill To Live To Kill” will be released on August 3 via ViciSolum Records. Another MANTICORA concept double effort, it is based on the thriller/horror novel that lead singer Lars F. Larsen has written. The novel itself was made available in May, while the two concept albums will be released as two separate albums, one year apart. “To Kill To Live To Kill” cover artwork is a stunning picture, painted by the extremely talented Danish painter David Troest, and it resembles the stories of the novel. The music was recorded and mixed at Hansen Studios with producer Jacob Hansen(VOLBEAT, DESTRUCTION) who also helmed the first two MANTICORA albums, and vocals were recorded with Tommy Hansen at Jailhouse studios. Tommy previously produced five albums for the band.